Maca is an adaptogen which means it has specific benefits without causing any negative side effects. Adaptogens enable the body to adapt to external conditions and enhance resistance contributing to overall wellbeing. 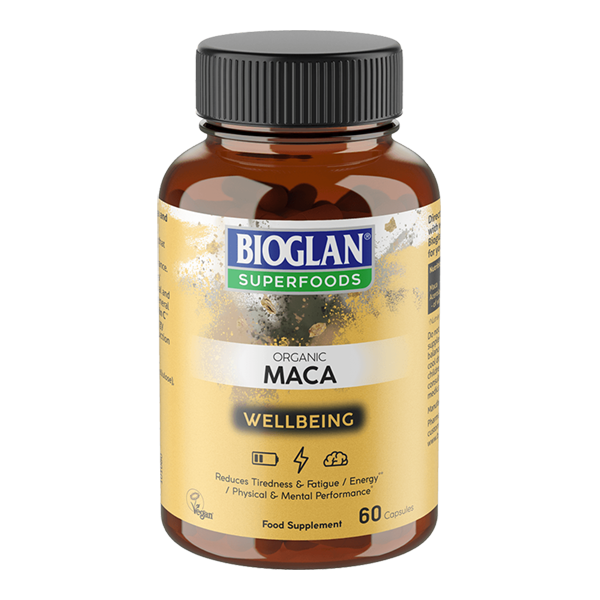 Bioglan Superfoods Organic Maca Capsules are a source of energy and supports physical and mental performance. Rich in Vitamin C, Bioglan Superfoods Organic Maca Capsules contribute to normal energy yielding metabolism and the reduction of tiredness and fatigue.